We’re in the wonderful Hannah Directory! Hannah Directory highlights people and organisations doing great things in places in the north of England. It’s named after Hannah Mitchell (1872–1956), an inspiring suffragette and rebel! Durham University Philosophy Department’s Women In Parenthesis has been selected as one of the hidden gems of the north by the fifth edition of Hannah Directory, which launches during the week of June 12 – 17. 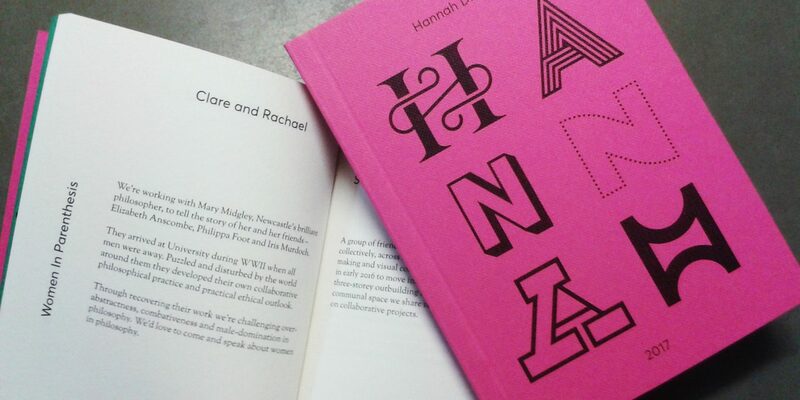 Hannah Directory highlights people and organisations doing great things in places in the north of England. In Parenthesis celebrates the intellectual contribution of a group of women philosopher’s to twentieth-century thought: the group includes Newcastle’s Dr Mary Midgley, a world-renowned philosopher who has helped nurture Newcastle and Durham’s lively public philosophy scene. The five editions of the directory have so far featured well over a hundred people and organisations with the same enterprising spirit and this year it includes artists, musicians, community groups, digital technology companies, policy think tanks, a music festival and a volunteer-run cinema. They are drawn from a huge geographical area from Barrow to Sheffield and Newcastle to Liverpool. Bringing them all together in one directory means ideas and inspiration can be exchanged between people and places in the north for the common good. Women in Parenthesis will be building on their success this year by opening the Durham University Mary Midgley Archive to the public. Hannah Directory is named after an inspirational figure from the north of England, Hannah Mitchell (1872–1956), a suffragette and rebel who tried to create ‘beauty in civic life’ in her work on public libraries, parks and gardens. Women in Parenthesis is based in Durham University Philosophy Department and is supported by a British Academy Grant. For more information or comment on Hannah Directory contact directory coordinator Andrew Wilson on andrew@hannahfestival.com or on 07980 224 927.